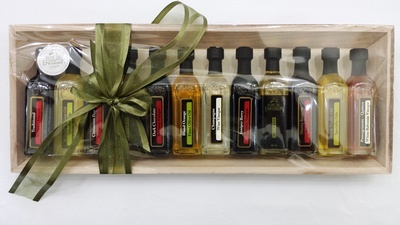 Description: Our exclusive Olive Oil Emporium Gift Box. An elegant rigid box design with a black ribbed paper and foil-stamped logo. 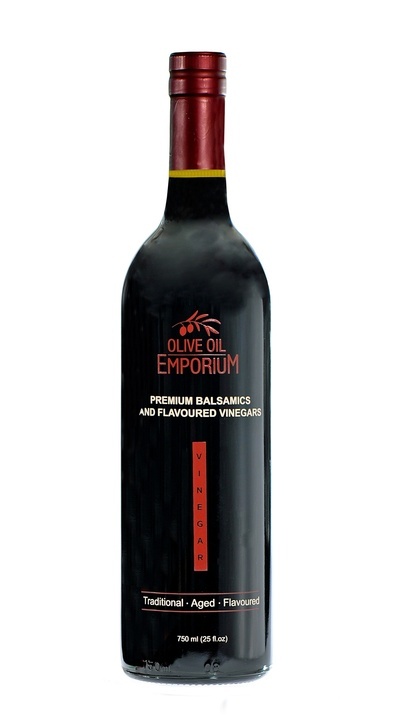 Use this box to elegantly display any two or three olive oils and/or vinegars packaged in our 200ml bottle format.Can also be used for our 150ml bottles from the Specialty Oils selection. A great way to dress up your gift! Size: 14" x 7" x 3"
NOTE: This box will ONLY accommodate the 200ml bottle size format. Only 2 x 200ml btls or 3 x 200ml bottles. Bottles are shown for illustration purposes only and must be selected and purchased separately. 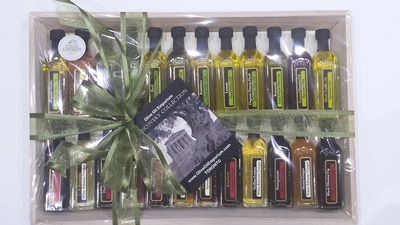 Our exclusive Olive Oil Emporium Gift Box. An elegant rigid box design with a black ribbed paper and foil-stamped logo. 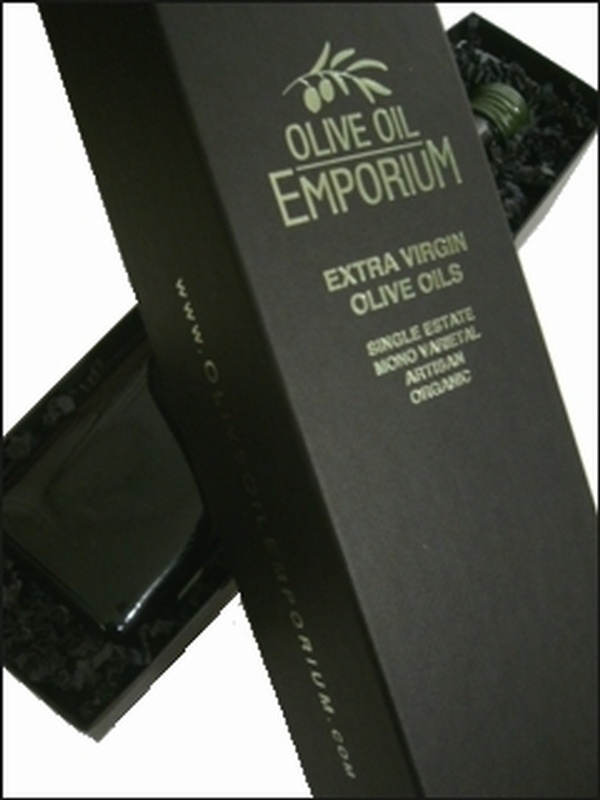 Use this box to elegantly display any two or three olive oils and/or vinegars packaged in our 200ml bottle format. Can also be used for our 150ml bottles from the Specialty Oils selection. A great way to dress up your gift!